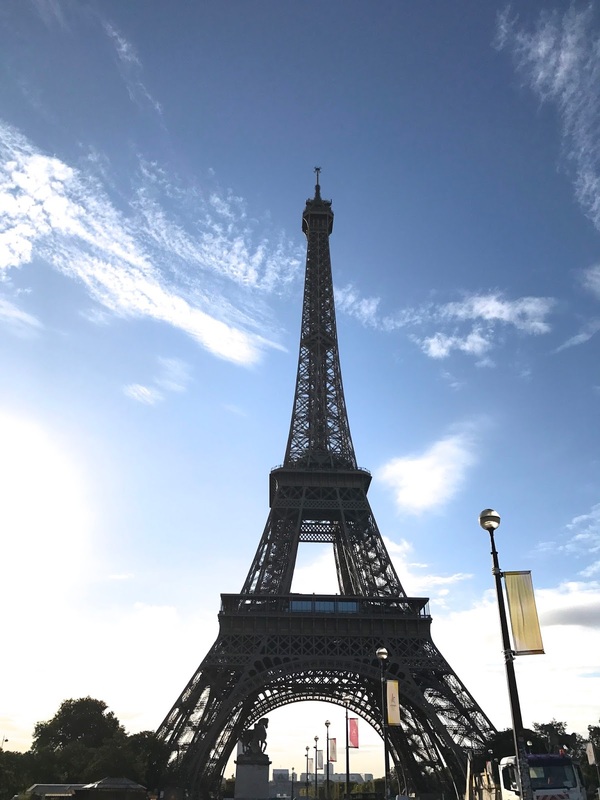 As some of you may know, I traveled to London and Paris for two weeks in September. 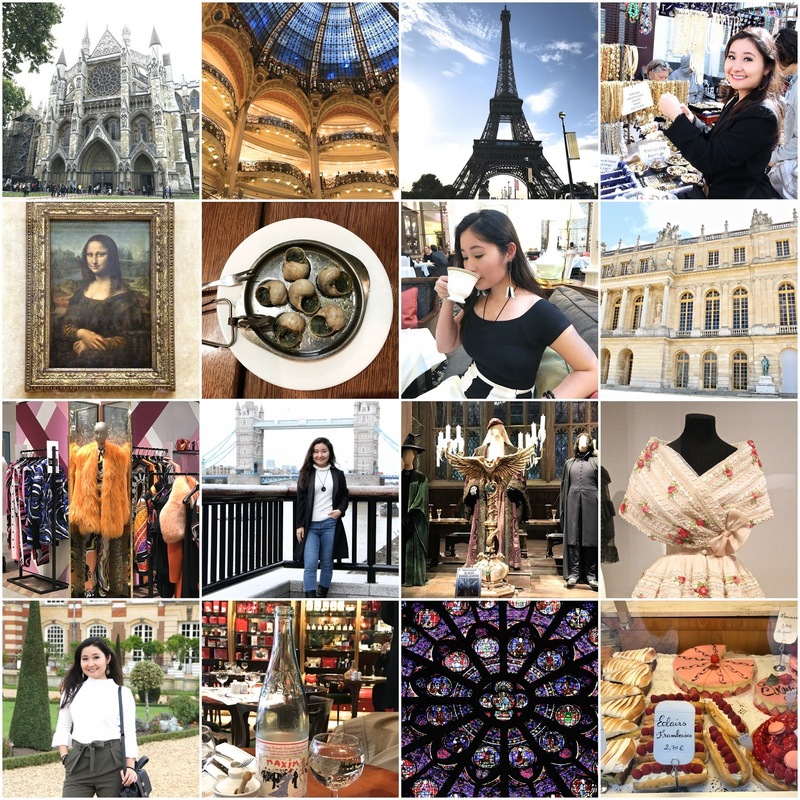 If you follow me on Instagram, you might have seen some snapshots from Europe, but today I wanted to share more of these photos and possibly give you tips on where and what to do if you're planning on visiting London and Paris. Let's check it out! In London, my parents and I stayed at the London Bridge Hotel, which was a convenient location for us. 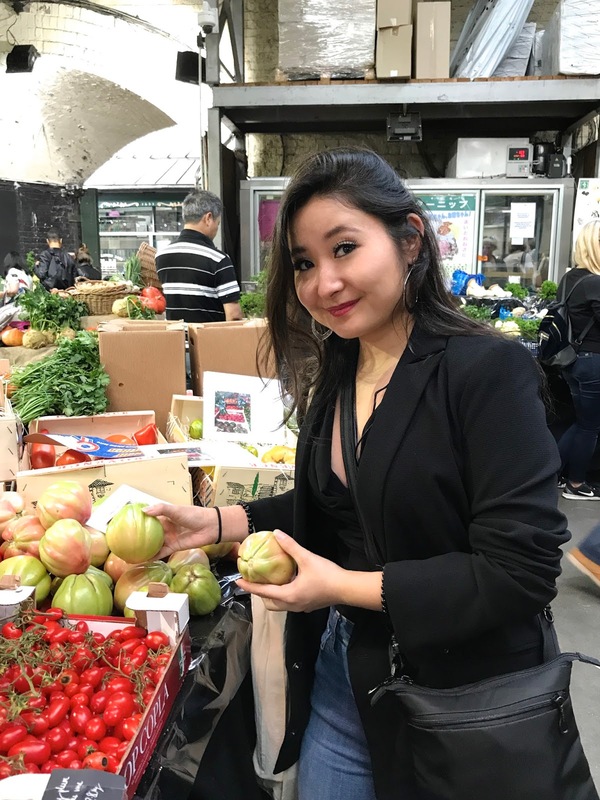 Not only was it close to Borough Market (a must when visiting London) and other tourist attractions, it was close to the metro stations. The hotel itself was lovely and the English breakfast buffet at their restaurant downstairs was so hearty and delicious. My daily breakfast consisted of hash browns, smoked salmon, a poached egg, bangers (English sausage), and of course, a cup of English Breakfast tea with a touch of cream and sugar. This is the Tower Bridge! 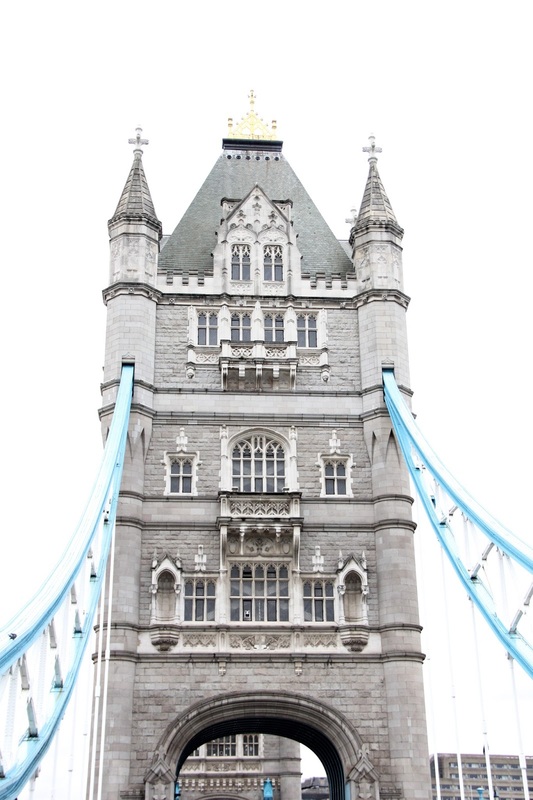 Although I didn't have time to walk across the glass floors and see the Tower Bridge Exhibition it was wonderful to pass by it every day before embarking on a new adventure because it was only about a ten-minute walk from our hotel. It really is a beauty! 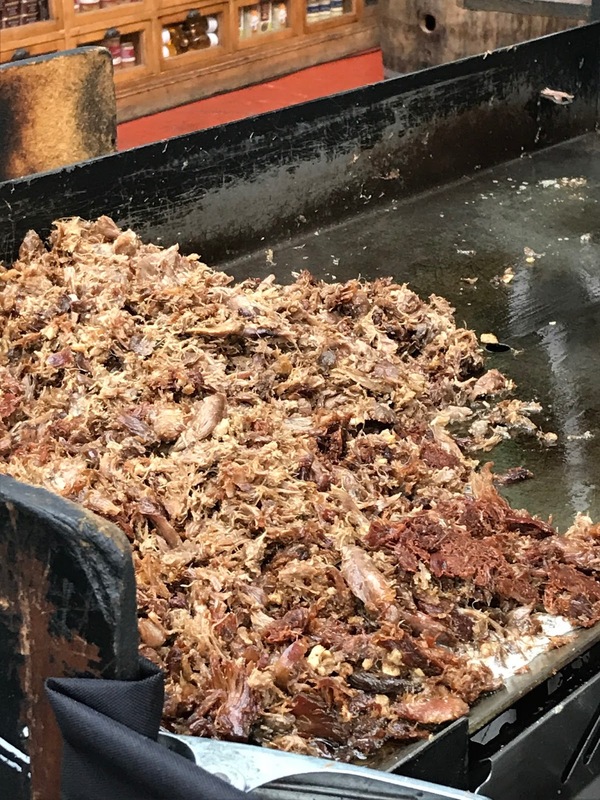 If you're a foodie, you'll love Borough Market! 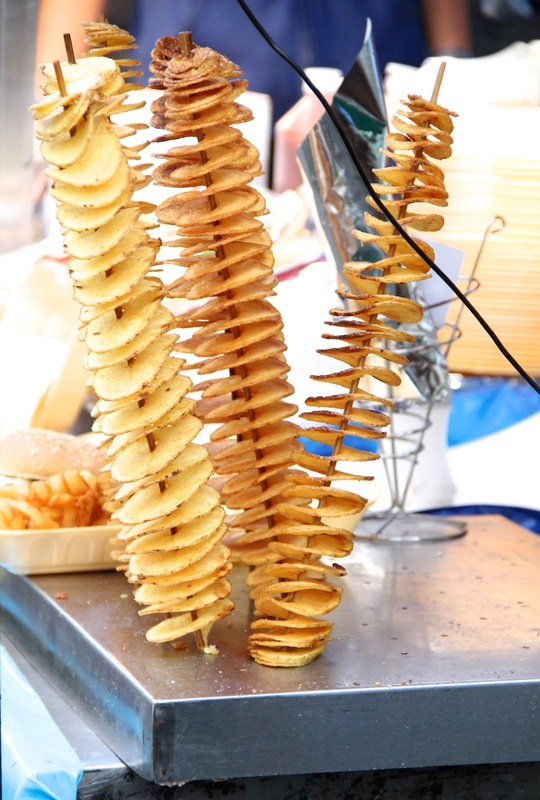 There are so many different vendors selling amazing foods and fresh produce. You can try Ethiopian food, exotic seafood such as sea urchin, paella, duck confit, and so much more! But if you only have time to try one thing, try the fish and chips from fish! 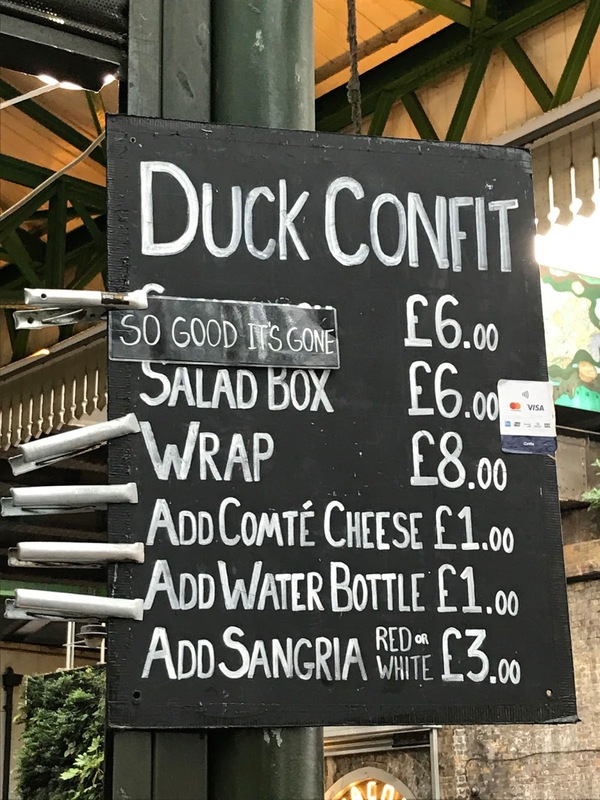 at Borough Market! The cod is unbelievably flaky and that crunch from the batter is heavenly! I didn't take any photos of the fish and chips but trust me, it's so good! If you LOVE the Harry Potter series like I do, you have to visit the Warner Bros. Studio in London. 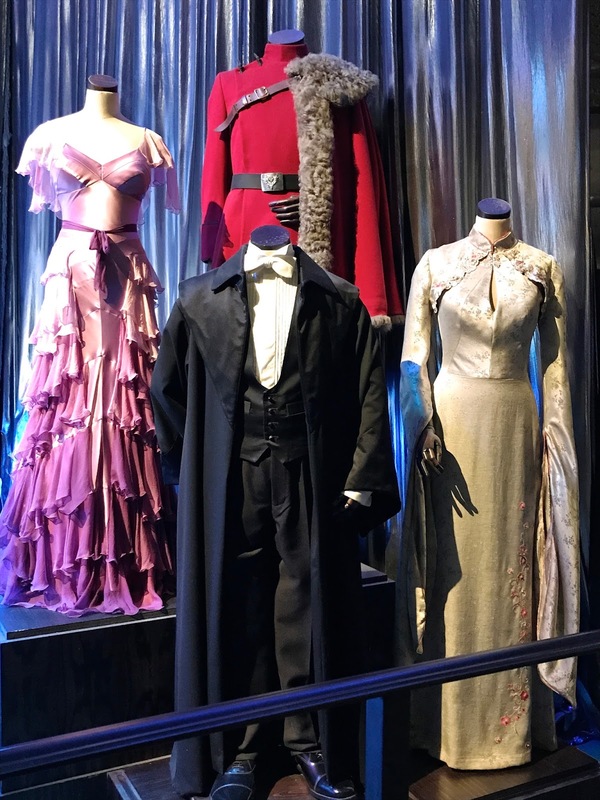 There's so much to see from the actual sets, props, and costumes in the movies. And there are amazing gift shops and a food court where you can purchase food and . . . you guessed it- butterbeer. Personally, I left with tons of photos, memories, a Gryffindor robe, and a replica of Dumbledore's wand (Because who wouldn't want the most powerful wand ever created? Well, besides Harry). Now, I simply cannot watch the Harry Potter movies without throwing on my robe and swishing my wand around. It just makes the movie-seeing experience that much better! I understand if you're just not into history, but I think everyone should visit the Tower of London. It's an iconic sight full of rich history (and the gift shops are amazing!). 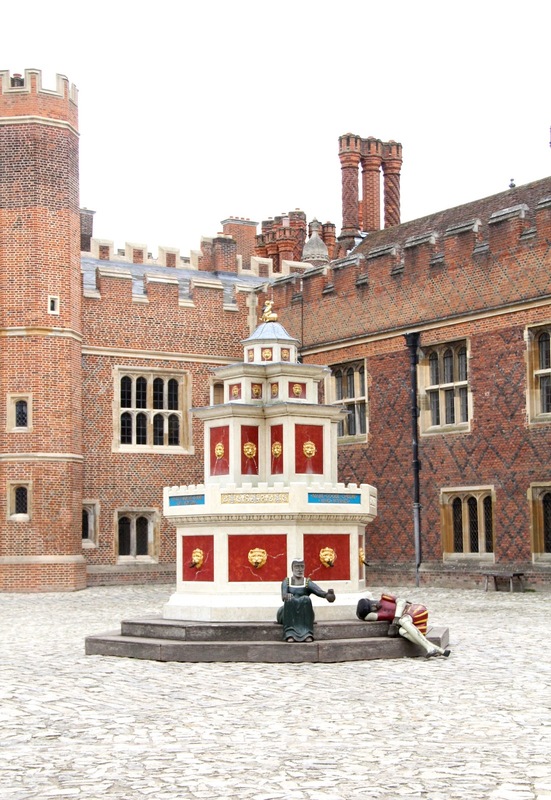 This is the very place Anne Boleyn, the second wife of King Henry VIII, was beheaded. 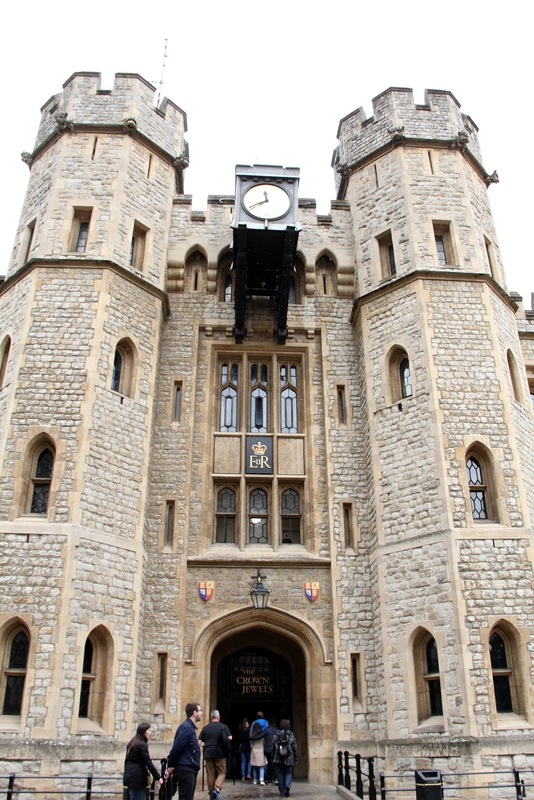 Like I said, if you're not into the history, you can always take a look at the crown jewels at the Tower of London. So, be prepared to be dazzled! 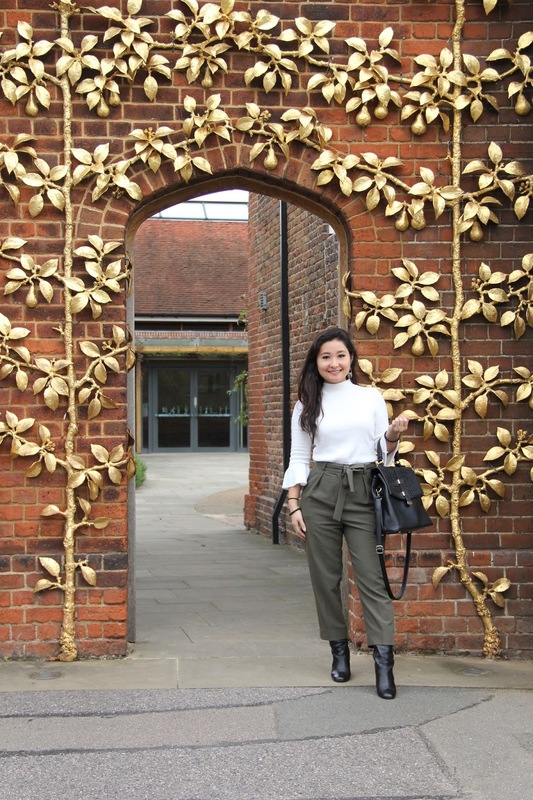 If you are interested in Tudor History, be sure to pay a visit to Hampton Court Palace. It was built by Cardinal Thomas Wolsey, a favorite of King Henry VIII, but once he fell from favor, the king took the palace for himself and, of course, expanded it. 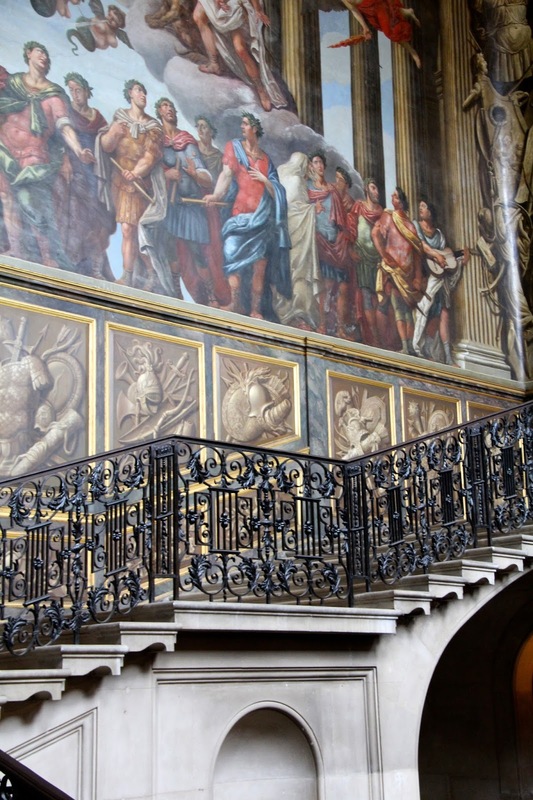 Here's a fun fact: Hampton Court Palace is one of the two surviving palaces that was owned by King Henry VIII. 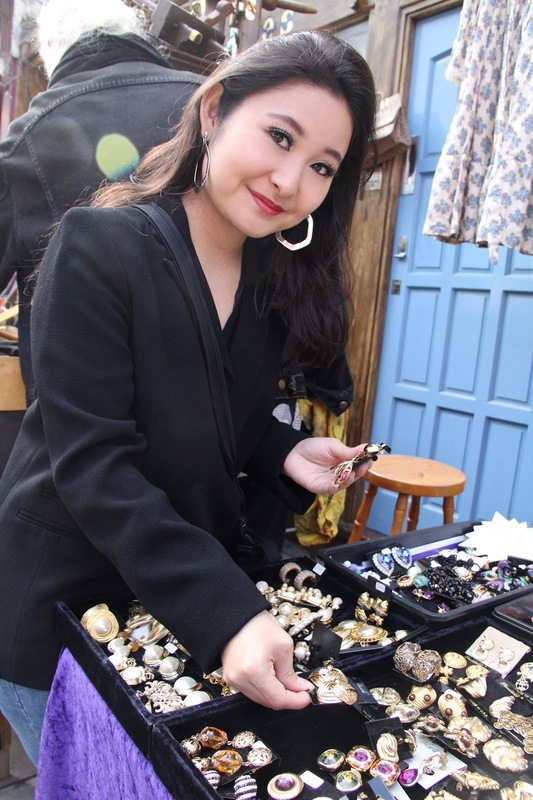 If you like flea markets, Portobello Market will steal your heart! I can't tell you how much fun I had shopping for vintage gems while munching on a falafel gyro and other snacks. I mean, it was the BEST treasure hunt I've ever been on, plus the food was delicious! 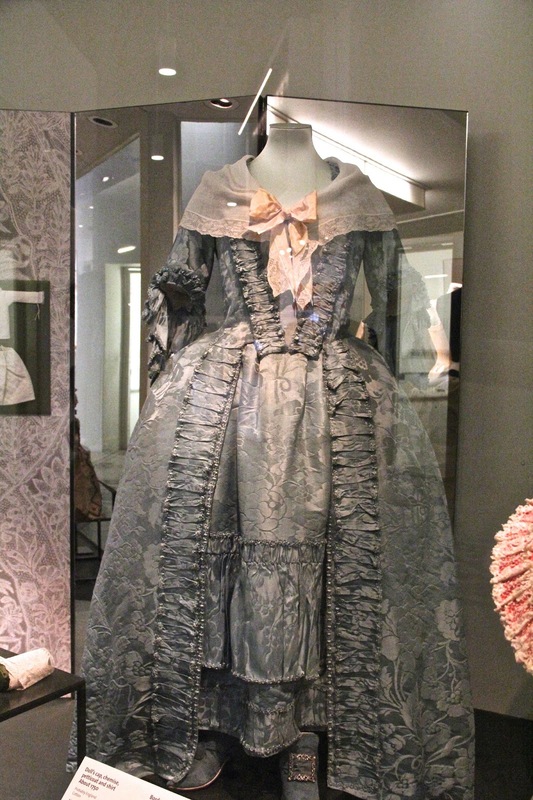 The fashion selection at the Victoria and Albert Museum is pretty impressive! 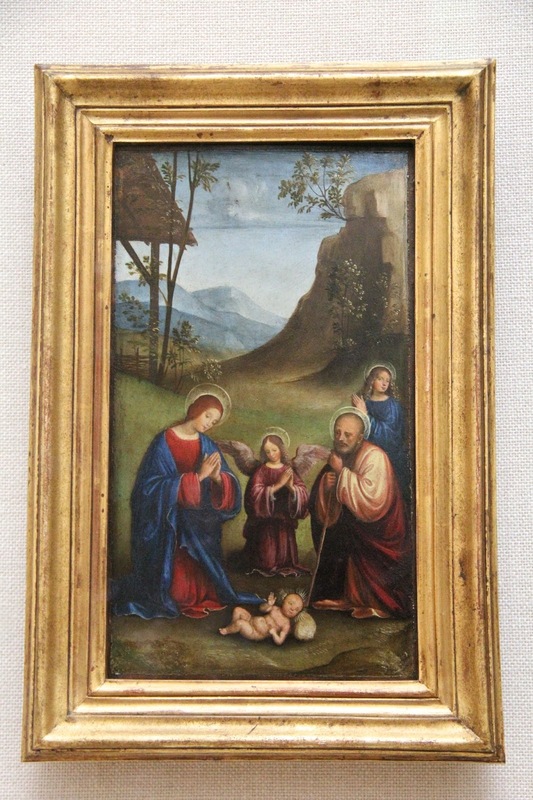 There are pieces from many different centuries and decades spanning from the 1700s to present day. For me, it was so inspiring to see these clothes up close and personal. Some I have seen in books and magazines, but to be able to get a close-up look at the details was amazing! 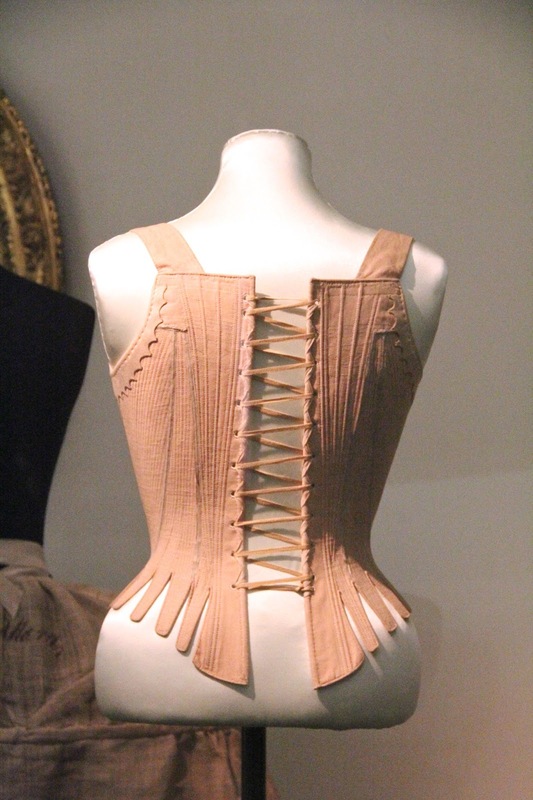 I have to say, the Elsa Schiaparelli pieces were even more beautiful in person. 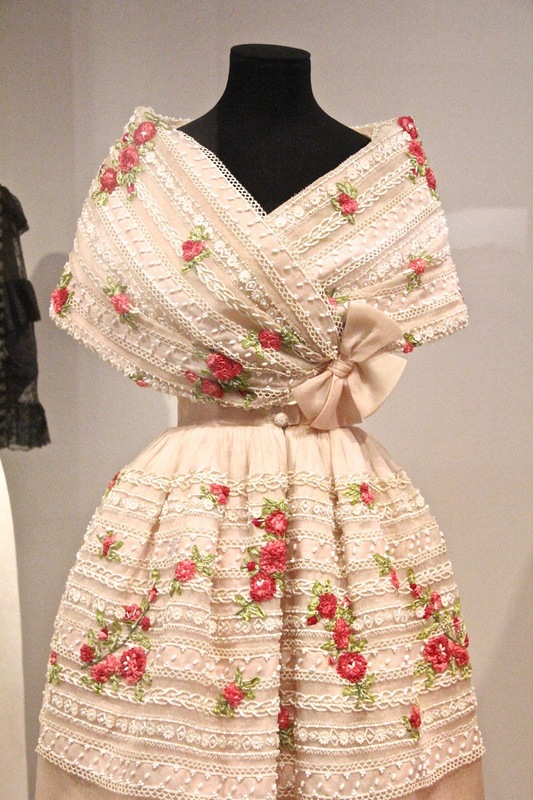 At the Victoria and Albert Museum, I got to view the gorgeous Balenciaga exhibit while in London. 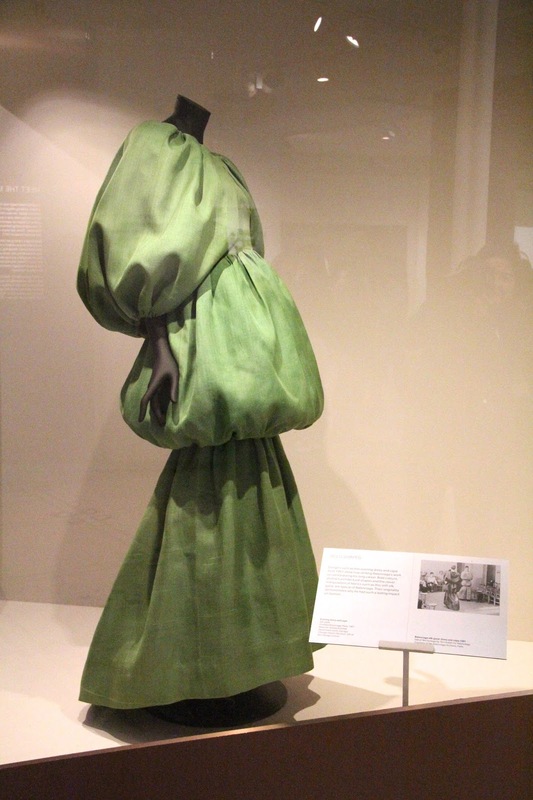 Cristóbal Balenciaga is one of my favorite couturiers, so to see his innovative work on display along with his sketches and to watch vintage videos of his fashion shows, was a surreal experience, to say the least. He inspired so many designers over the years and some of their pieces are being displayed in this exhibit as well (shown in the last photo). If you would like to see this exhibit for yourself, his pieces will be on display until February 2018. For all you fashionistas and shop-a-holics, this one is for you! Topshop at Oxford Circus would probably be heaven on earth for you. It is by far the biggest Topshop store I've ever been in! 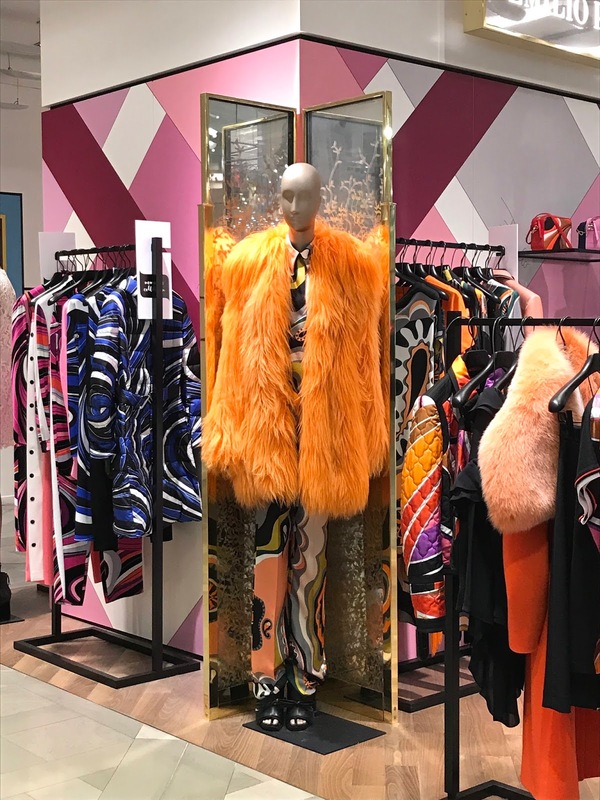 There are three levels of clothing, shoes, jewelry, accessories, and even vintage pieces. 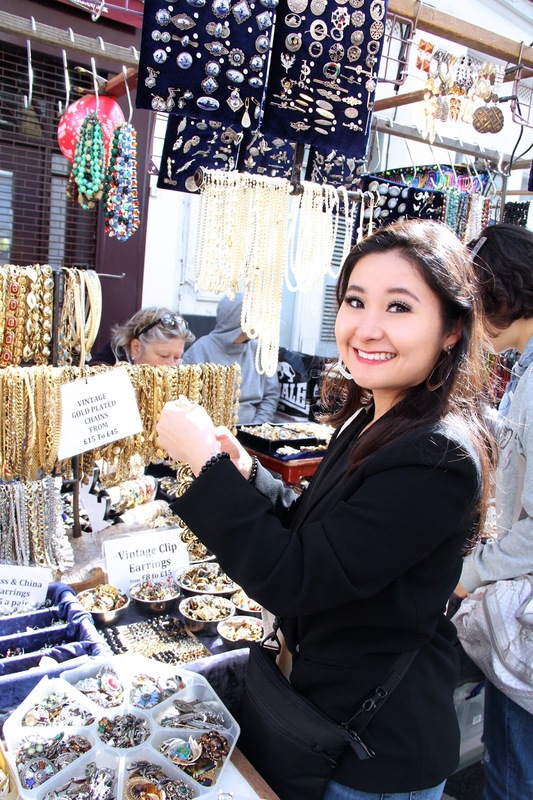 And if shopping is not your thing, you can grab a bite to eat at their café, get your hair and nails done, or get a tattoo or piercing for fun. Yes, you heard me right- you can get tattoos and piercings at Topshop! Crazy idea, but crazy cool! You could spend hours here, maybe even days, and not see everything! 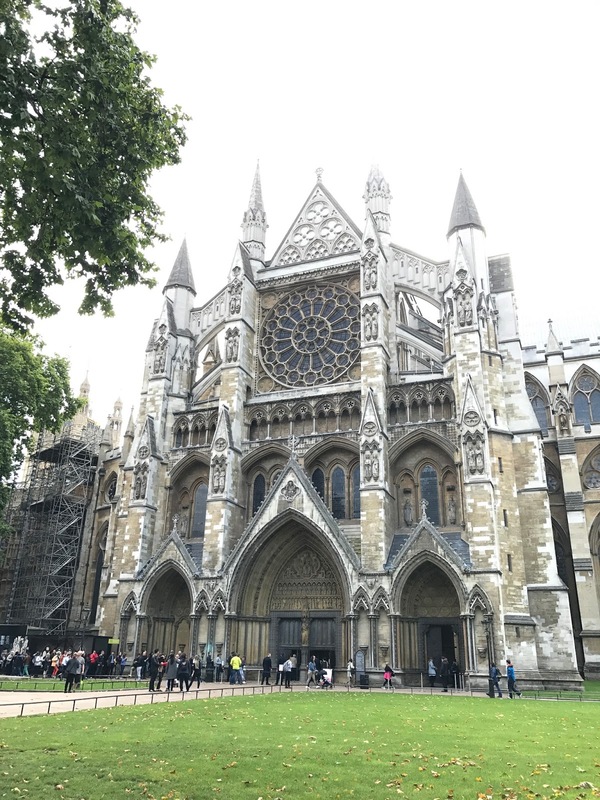 Since Queen Elizabeth I is one of my favorite style icons who inspired part of my blog's name, I wanted to visit the place of her coronation (and that of many other royals) and see her tomb at Westminster Abbey. That may sound a bit weird to some of you, but she is one of those strong women who redefined history and I've admired her for years. 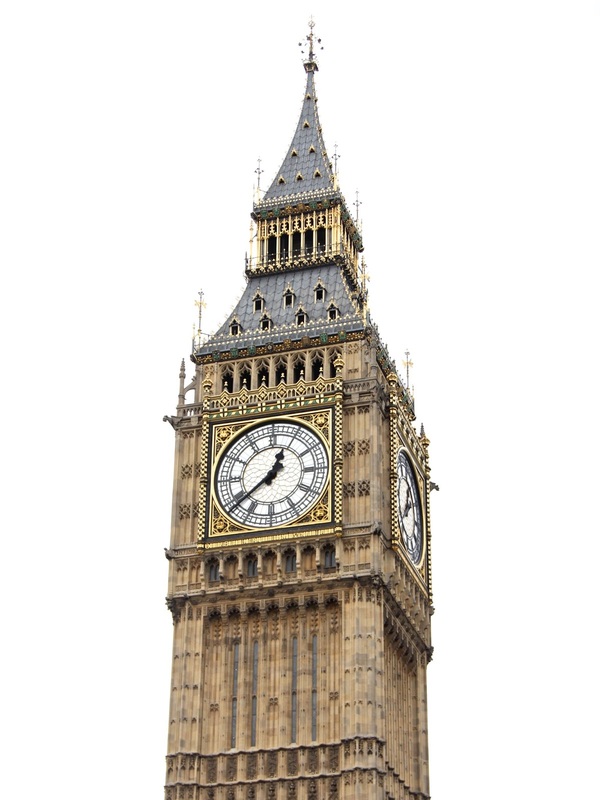 Also, if you visit Westminster Abbey, you can get a pretty awesome shot of Big Ben, London's iconic national timepiece! Lastly, I couldn't leave London without experiencing afternoon tea at Savoy. The ambiance was elegant and relaxing with piano music in the background and me sipping Lychee Red tea and nibbling on scones, tea sandwiches, and sweets as I melted into the comfortable couch. Simply divine. And it's true what they say, the English really do make a mean cup of tea! 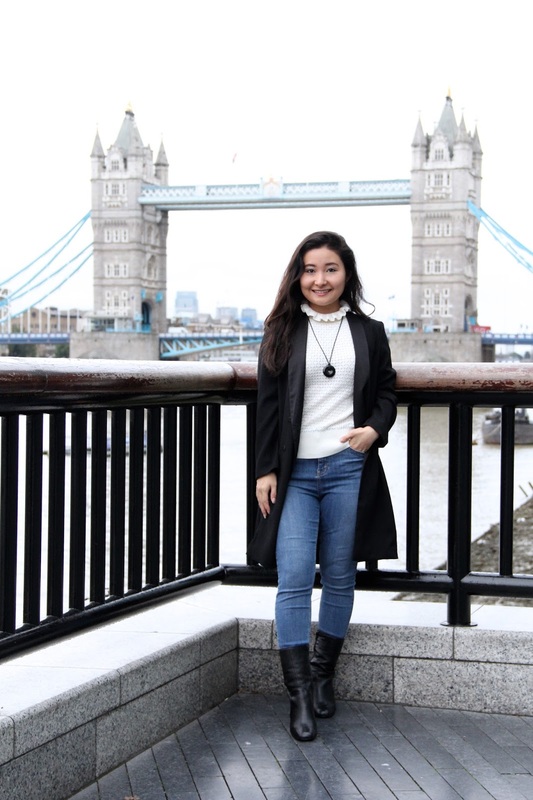 *Although I don't have any photos, I went on the London Eye, which was also a tourist destination worth checking out. 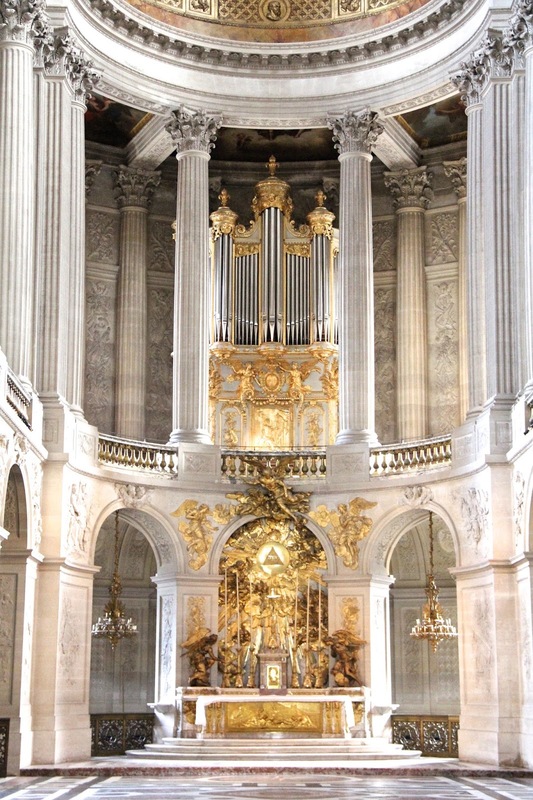 Like London, Paris is infused with culture and history. 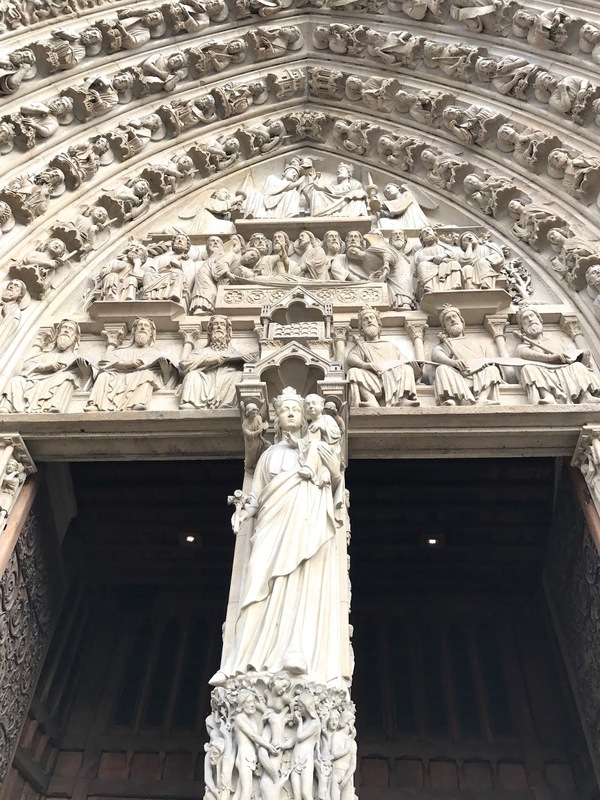 My parents and I ventured to famous tourist spots such as the Eiffel Tower, Notre Dame, and the Château de Versailles, but we also made it a point to go on the hop-on/hop-off bus, do a bit of shopping, try authentic French food, and go on a chocolate tour. 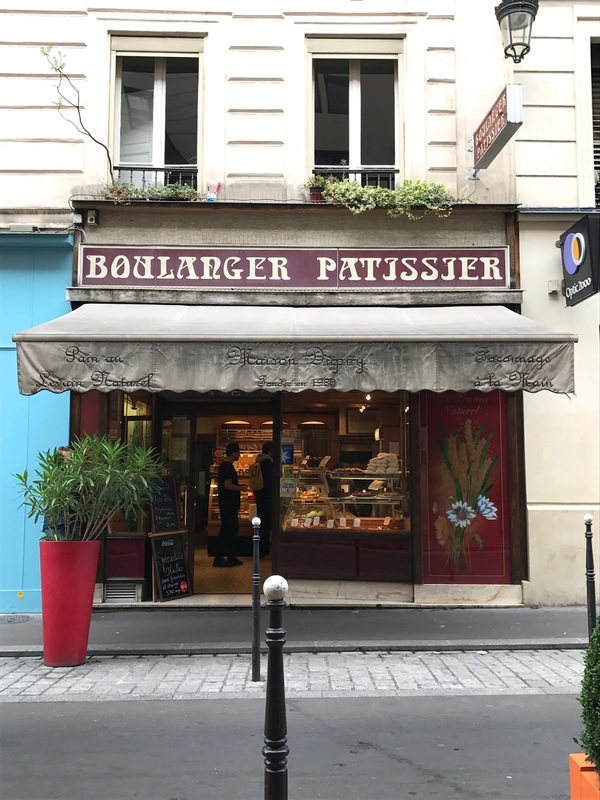 In Paris, our hotel was located near to an amazing family-owned boulangerie/patisserie. Everything from the croissants and palmiers to the eclairs was decadent and delicious. You could taste the tender, love, and care that went into baking these treats with every bite. That's probably why almost all of the confections were sold out by the afternoon. 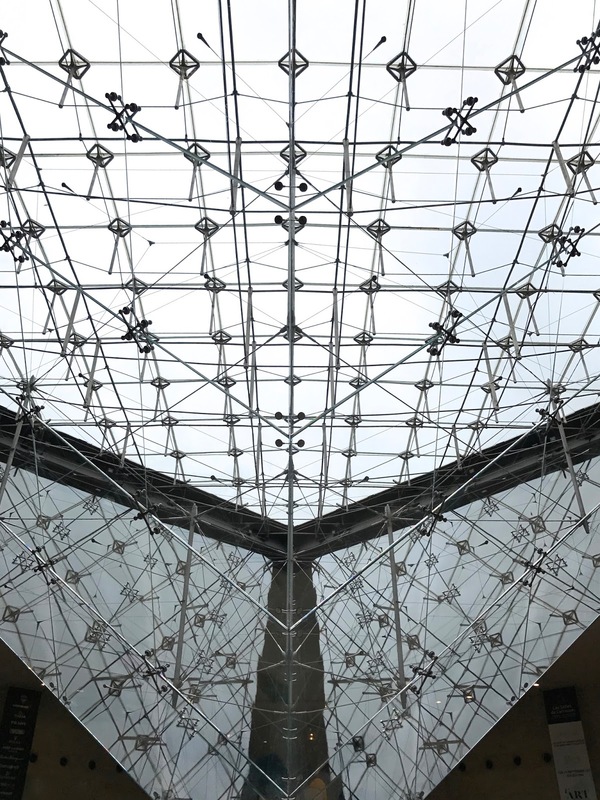 If you're an art enthusiast, the Louvre should be at the top of your list! 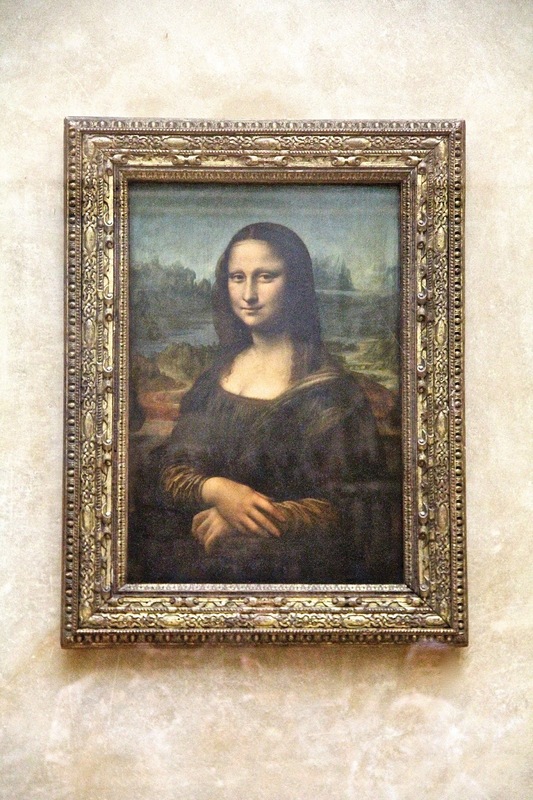 However, even if paintings and sculptures are not your cup of tea, you should view these four things at the Louvre: the Winged Victory of Samothrace, the inverted pyramid, the Venus de Milo (not pictured above), and you simply cannot leave the Louvre without seeing the Mona Lisa. I thoroughly enjoyed walking the halls, admiring the pieces, and browsing through the gift shops, so I think you will, too. 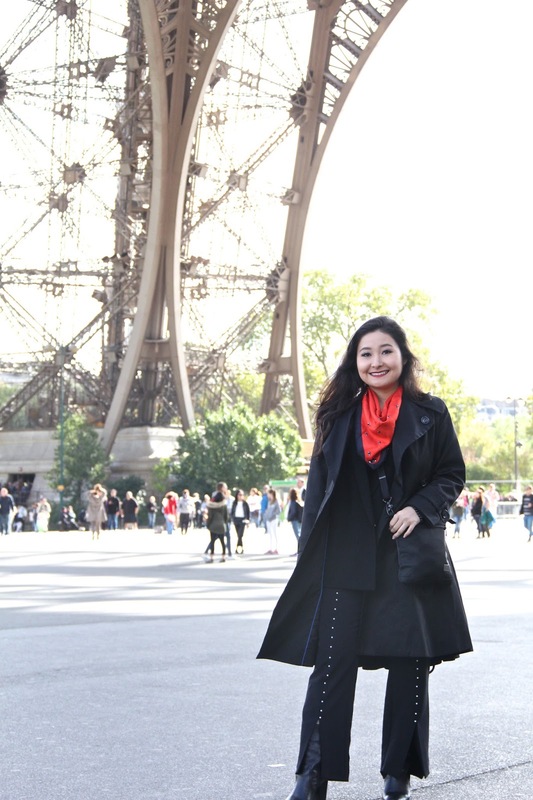 Now, if the Louvre wasn't enough for you and you're still craving to see more art, head on over to the Musée D'Orsay. 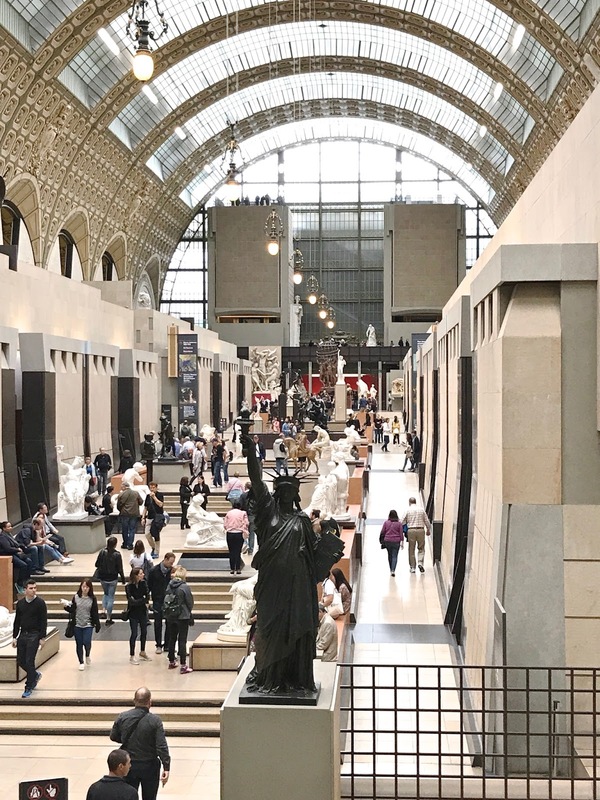 Since this museum was once a train station, the Musée D'Orsay itself is an artifact. How neat is that!?! There are many more paintings and sculptures for you to awe at. 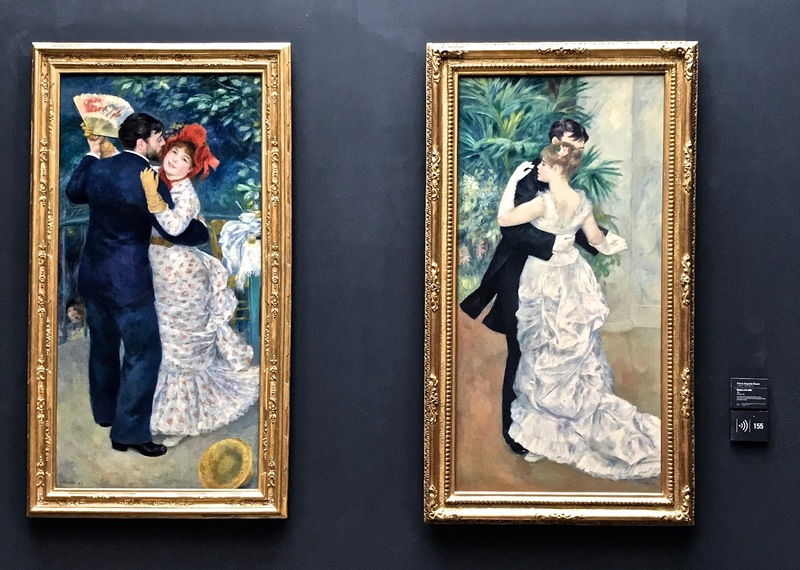 Personally, I loved viewing the Renoir paintings, especially these two paintings pictured above. There's something extremely elegant about the brush strokes and the overall feel of these paintings. 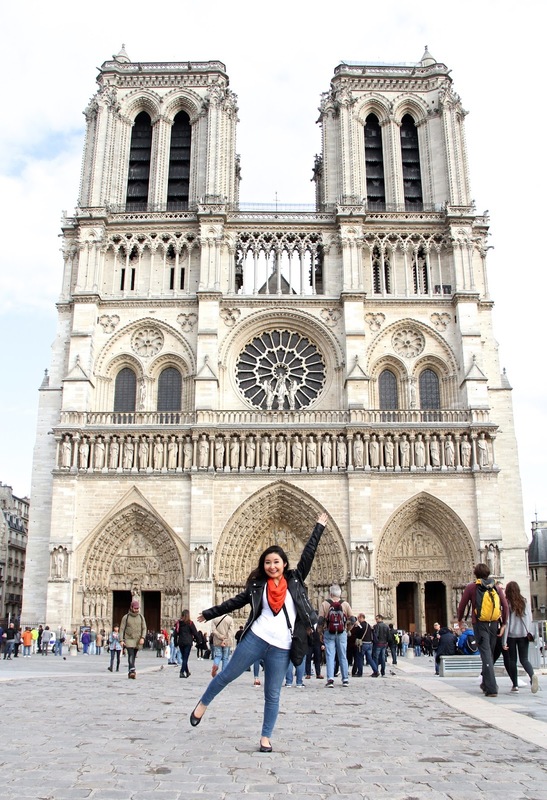 Notre-Dame Cathedral is well known for its detailed French gothic architecture and stunning stained glass. 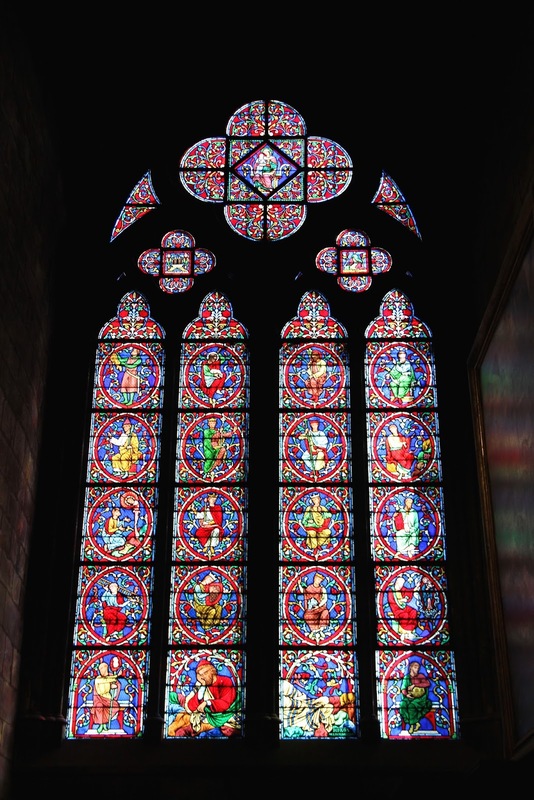 When I walked into the cathedral, my eyes became fixed upon the light humming through the stained glass windows. The colors and intricacy of each one left me speechless. 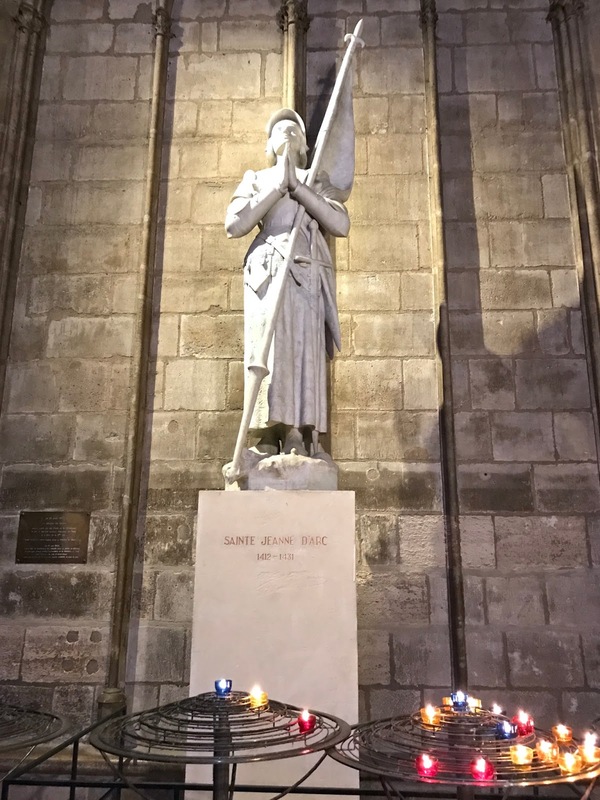 Also, I had to take a photo of the miniature Joan of Arc statue, for she is another woman in history that I admire. If you ask most people what they think of when they think of Paris, they'll say the Eiffel Tower. This iconic landmark truly is an iron beauty to behold. 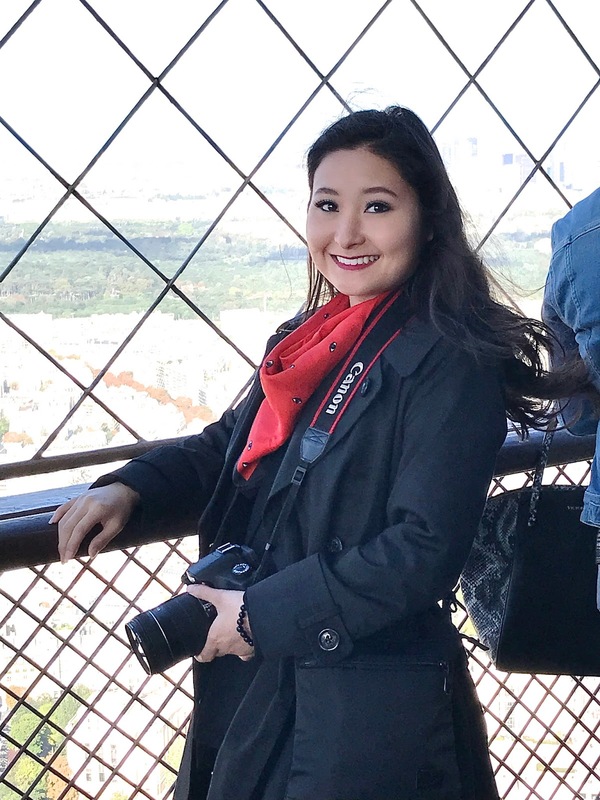 I think venturing all the way to the top of the tower is a must because you don't want to miss out on the breathtaking view! 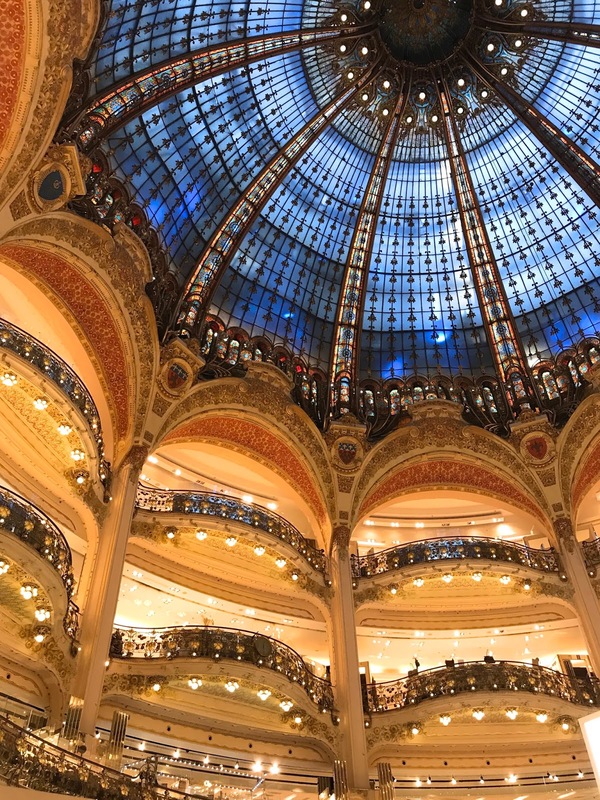 Shopping on the Champs-Élysées is very chic, but I think Galeries Lafayette is where it's at! I mean, it's ten floors of fabulous! 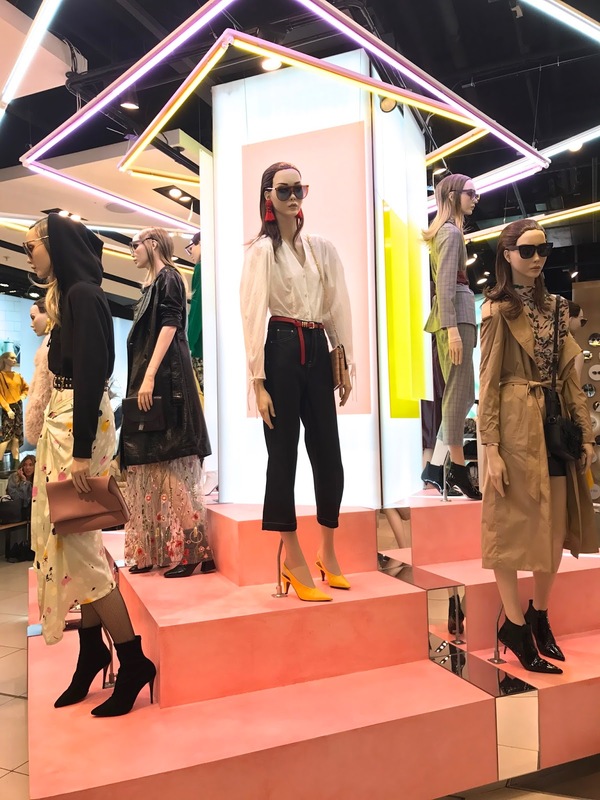 Although about half of the items were not in my budget, I loved admiring the way they styled the mannequins. 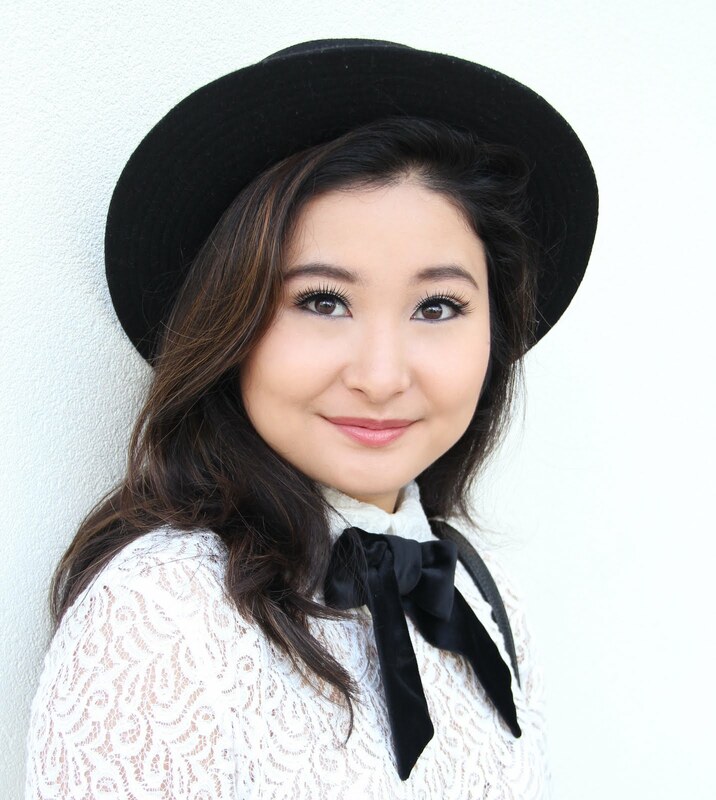 I did end up purchasing one piece and I cannot wait to style it in an outfit post for you all! Also, if you're more into vintage shopping, Kiliwatch Paris is hands-down the BEST. 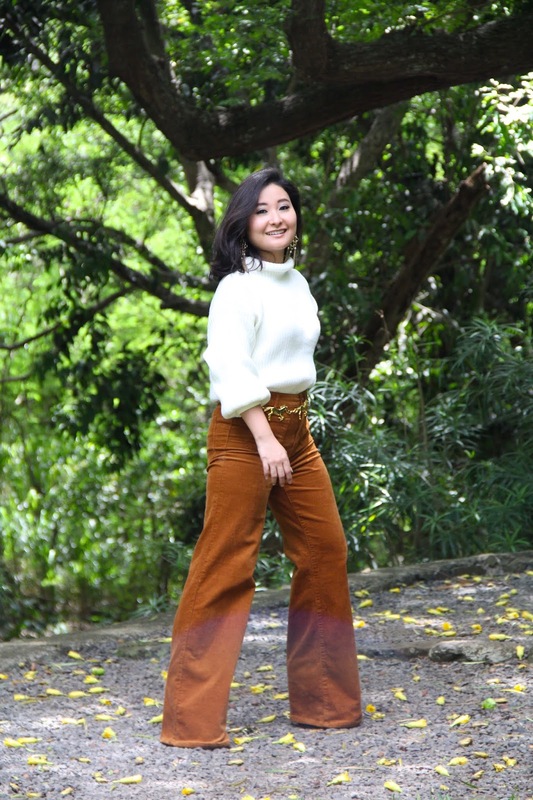 Their one-of-a-kind pieces are in excellent condition and you can find great vintage designer pieces at reasonable prices. I honestly wish I lived in Paris only to be able to shop there every single week. 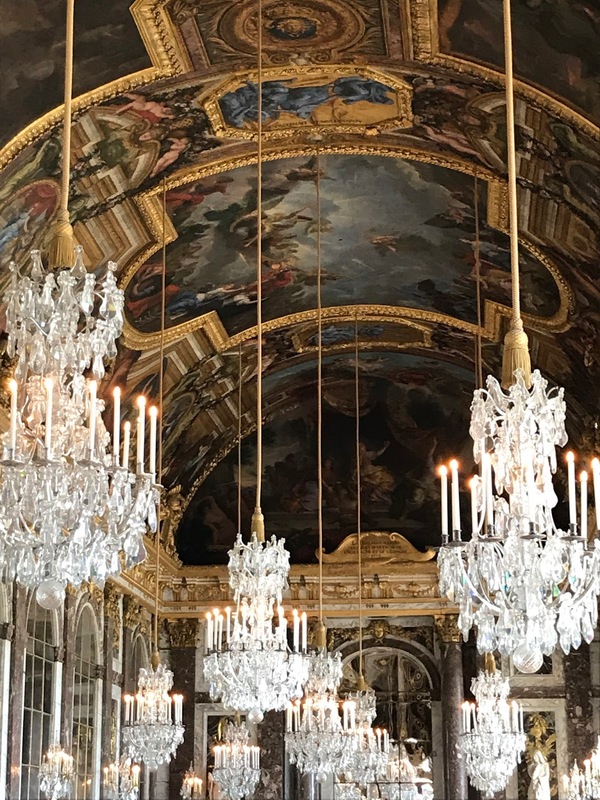 The Château de Versailles is a must-see, so be sure to add that to your list of places to visit while in France. 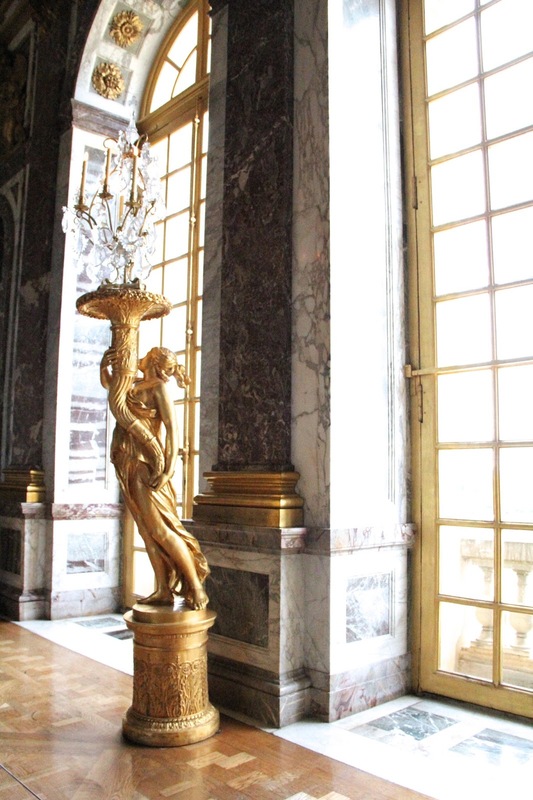 Versaille is teeming with opulence, luxury, and French history. 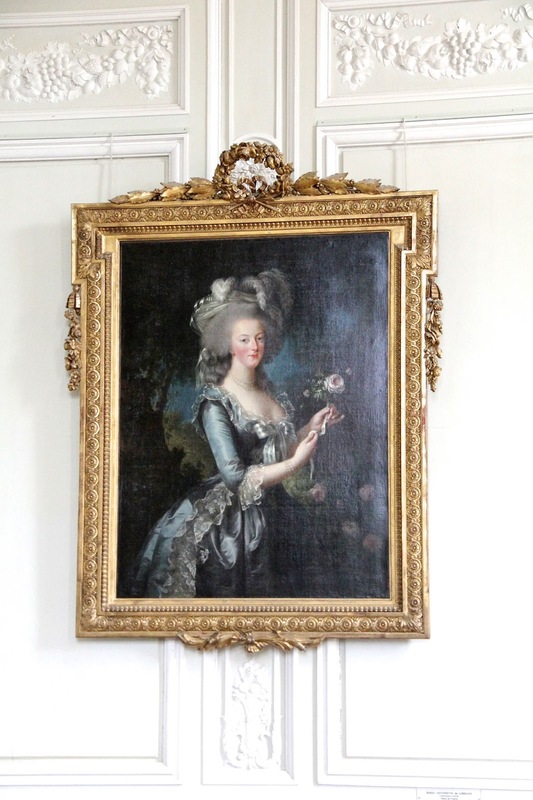 As an admirer of Queen Marie Antoinette, I was especially excited to see her room, but it was under construction and off-limits to the public when I visited. Fortunately, I was able to see le Petit Trianon, the place where Marie Antoinette would retreat to whenever she wished to escape court life. There, I was able to view the iconic original painting of Marie Antoinette by Élisabeth Vigée Le Brun. Of all of the paintings of her, this one is my favorite! 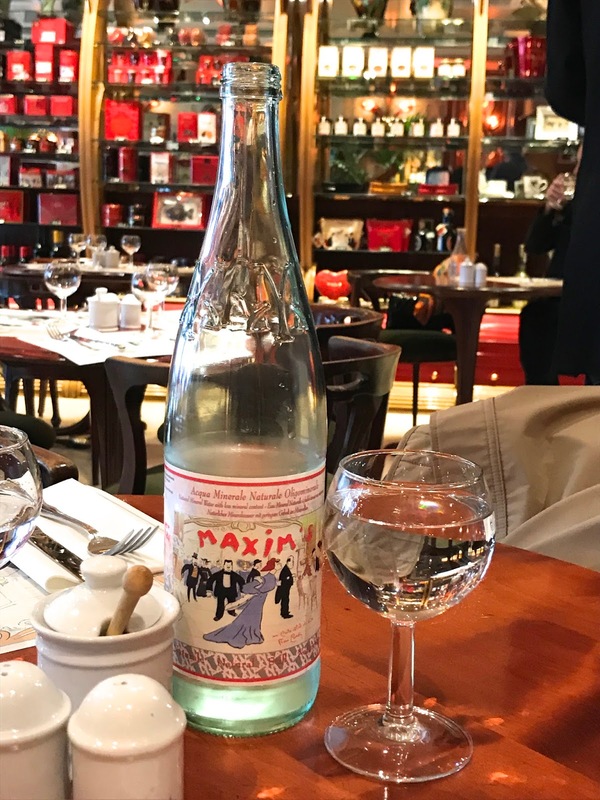 Lastly, you cannot leave Paris, without dining at a brasserie. The photos above are from two different places, Brasserie Minim's and Le Royal Julyann. 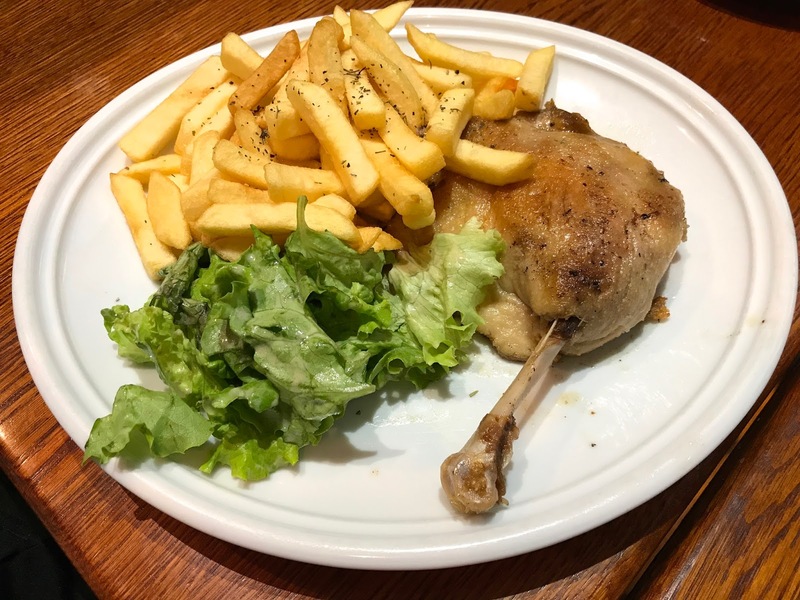 The food at both brasseries was delicious and it was wonderful to be able to relax and dine the way the Parisians do. That concludes my trip recap of London and Paris. Thank you so much for sticking around till the end. I know it was a long post! 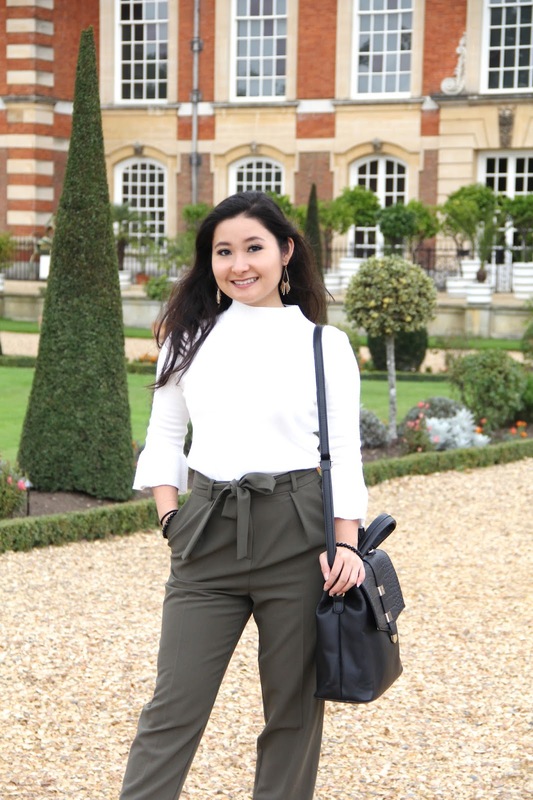 Also before you leave, be sure to let me know in the comments below what places you love to visit while in London and/or Paris, or if you've never been, where you'd like to go. Again, thank you so much for stopping by Elizabeth, Marie, and Me. As always, I am sending you lots of love from my heart to yours! wow, woW, wOW, WOW!!! Awesome recap! Thank you! 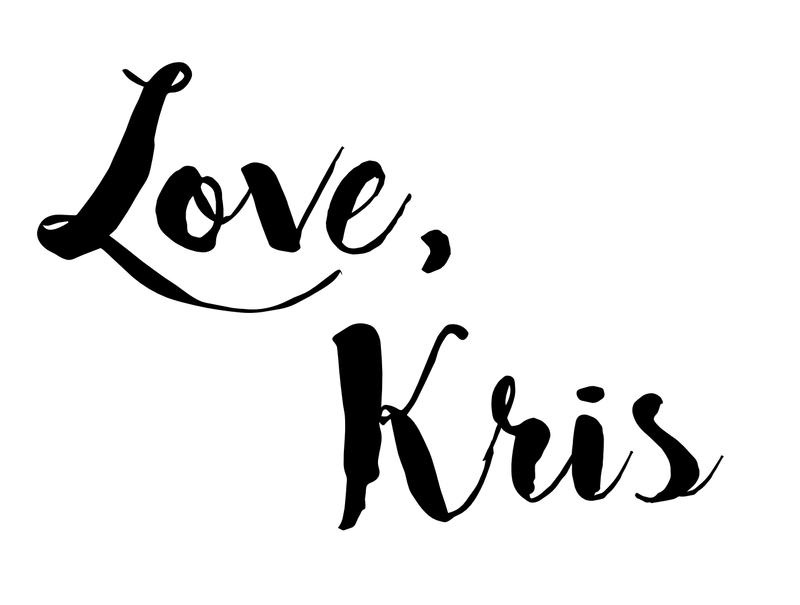 Thank you so much for always supporting me and my blog!